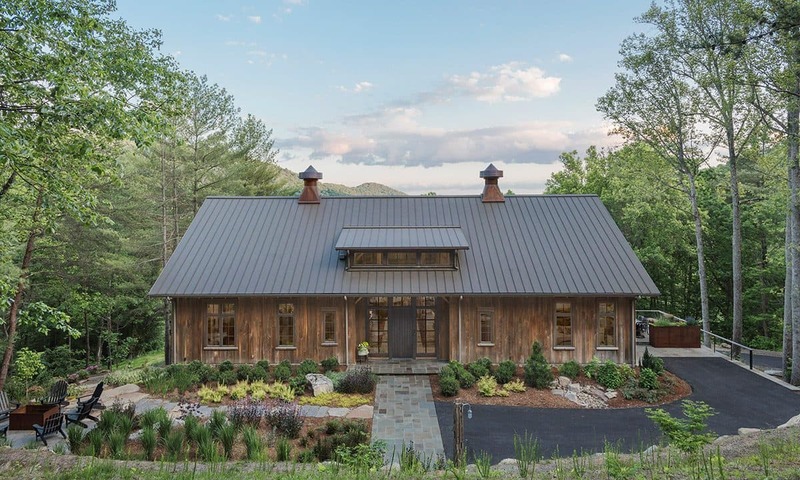 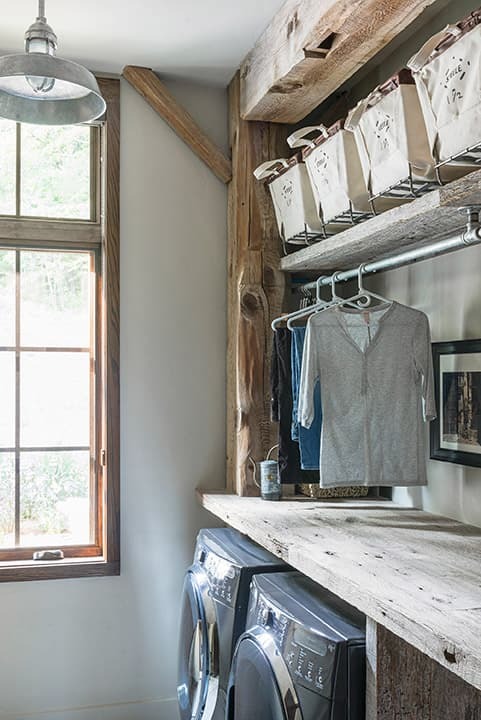 The Beaucatcher Barn home is modern barn home in Asheville, NC. The three-story home has four bedrooms and four and a half baths. 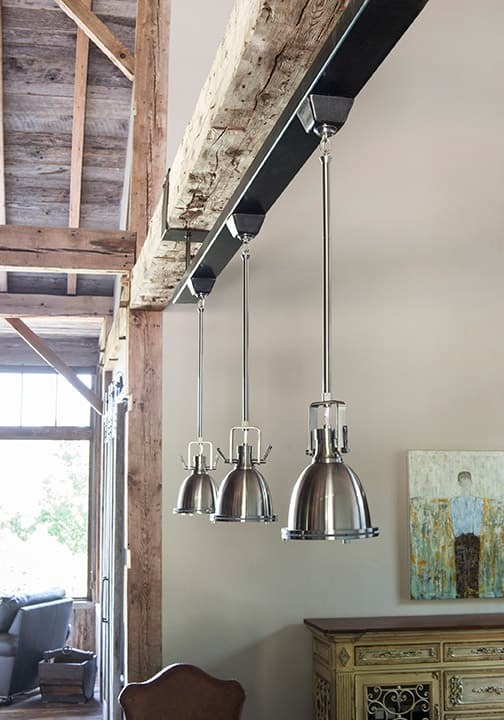 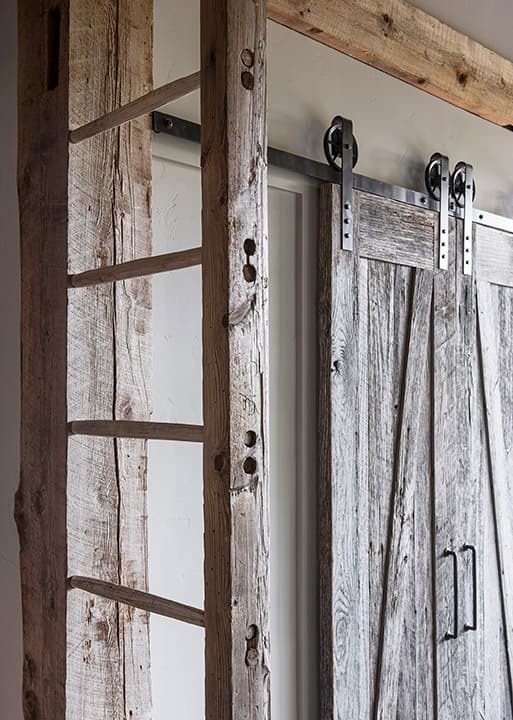 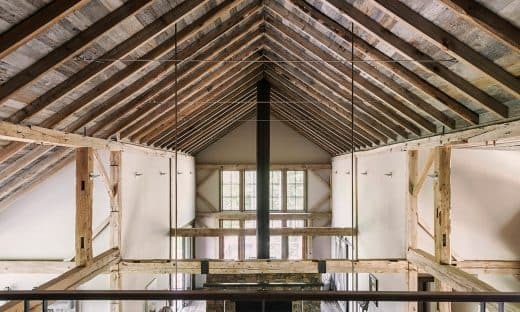 The homeowners had a very clear direction for this home and bought a century-old barn through Heritage Restorations, who restored, delivered and reassembled the timber frame on site. 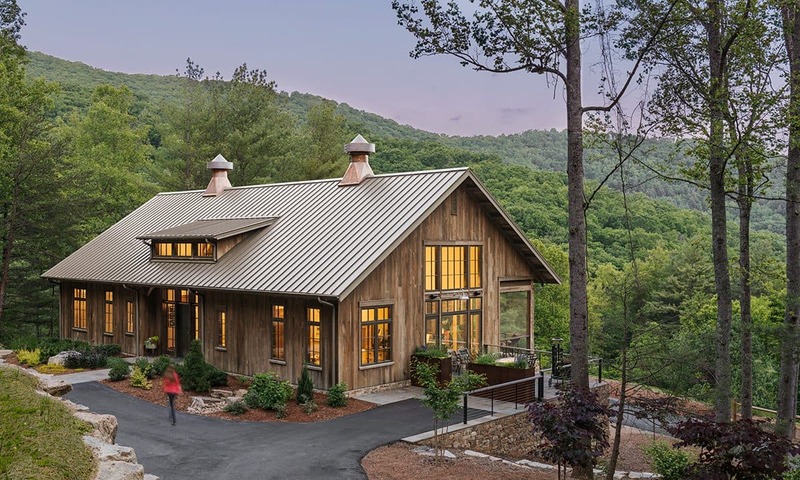 Samsel Architects integrated the timber frame into a new home, incorporating nearly every timber as a structural or design feature. 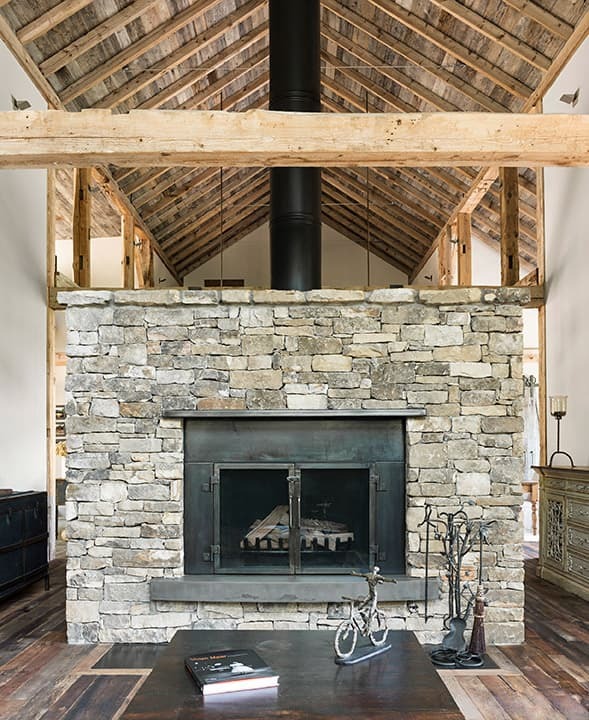 Century-old columns, beams, and diagonal braces give this home an extraordinary, rustic charm. The Heritage crew from Texas spent four days reassembling the timbers using traditional timber frame joinery methods combined with modern steel connections when current building codes required it. 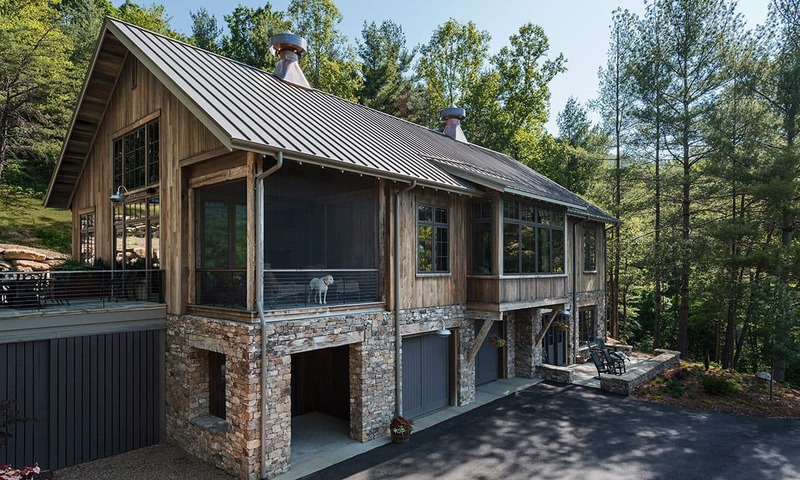 As you enter the house, there is a breathtaking view through large sunroom windows across the valley. 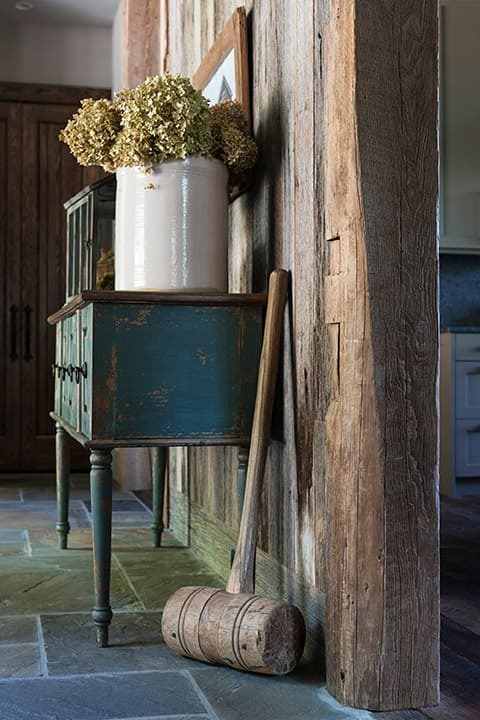 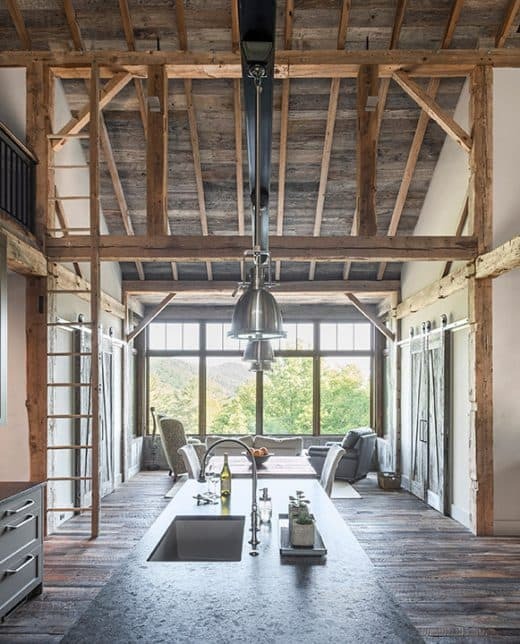 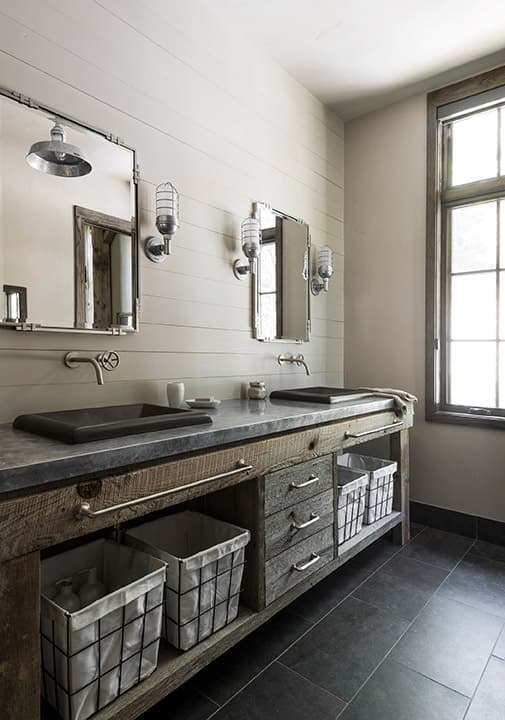 The kitchen, dining and living spaces are all open to one another, maintaining the openness of the barn layout. 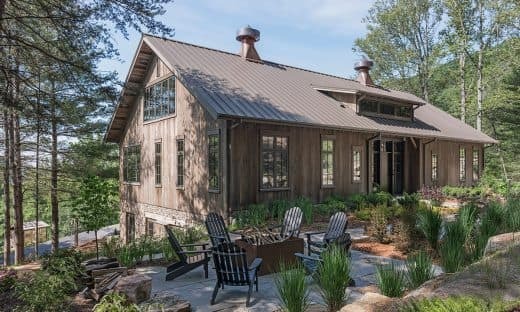 The master suite is on the main level and the primary guest bedroom is in the loft, with a sitting area overlooking the great room and timber frame structure. 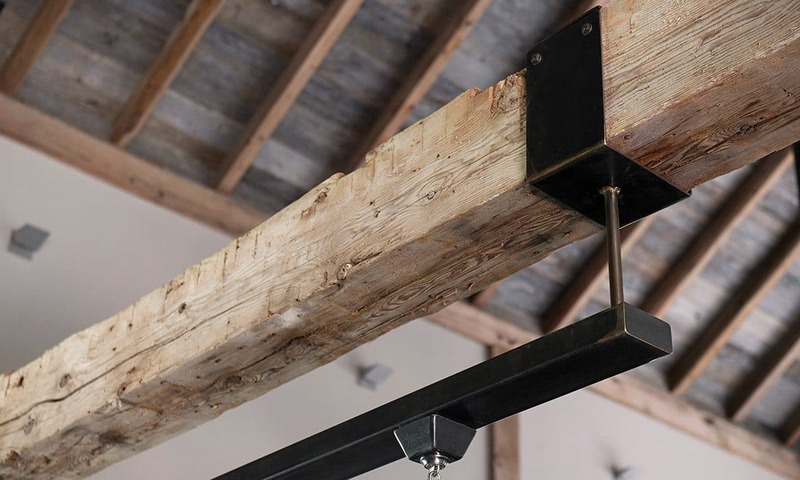 See blog post for more information about reassembling the barn frame for the Beaucatcher Barn Home here.